Sunwing has dropped the price of a 1 week all inclusive package from Vancouver to the Azul Ixtapa Grand Resort in Ixtapa, Mexico down to $1075 CAD (per person) including taxes. The Azul Ixtapa Grand Resort has 4.5 circles on TripAdvisor with 53% of reviews rating it as Excellent. On Tripadvisor, It is currently ranked #5 out of 23 hotels in Ixtapa. The regular Azul Ixtapa Resort (not the Grand) is also available on the same dates for $895/person. 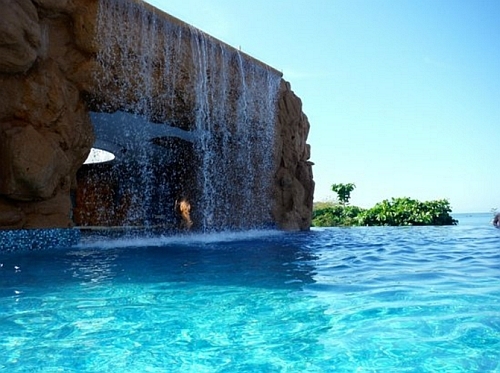 Azul Ixtapa Resort has 4 circles on Tripadvisor, with 40% of reviews rating it as excellent. The Sunwing flights from Vancouver to Ixtapa, Mexico are non-stop both ways. However, Sunwing is known for sometimes adding a stop to their flight itineraries. 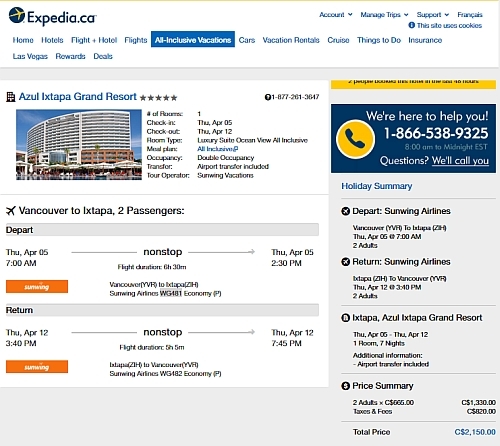 NOTE: After your Expedia search completes, use the 'Search by Hotel Name' drop down menu near the top left to find the Azul Ixtapa Grand Resort. vancouver, yvr, mexico, all inclusive deals, ixtapa, zihuatanejo, north america, azul ixtapa grand resort and sunwing vacations.